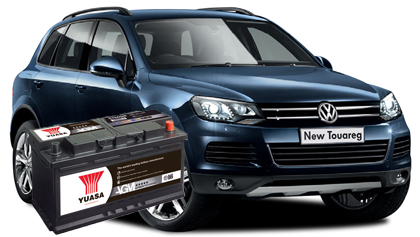 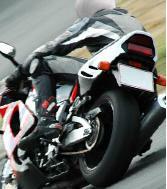 Yuasa Batteries - We stock Yuasa Industrial, GS Yuasa Automotive and Yuasa commercial batteries. 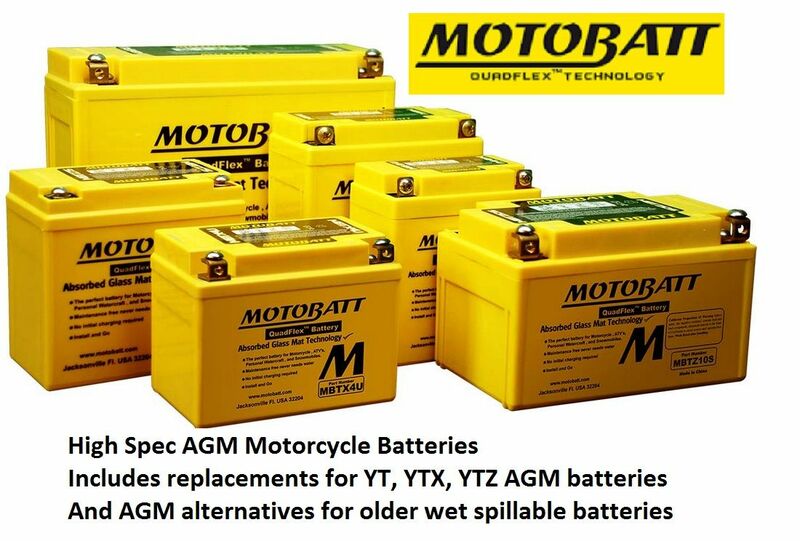 Motobatt AGM motorcycle batteries can be used as AGM alternatives to older wet batteries, most have higher specifications over the standard equivilents, some also include brackets and spacers for a secure fitment. 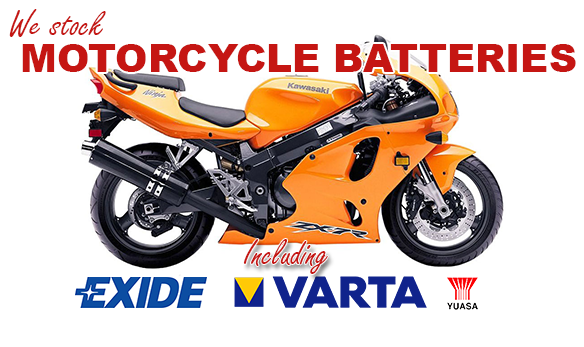 Range of batteries for commercial vehicle such as Lorry and HGV, Tractors and farm equipment, parts include 643,644,664,663,656,655,629,627. 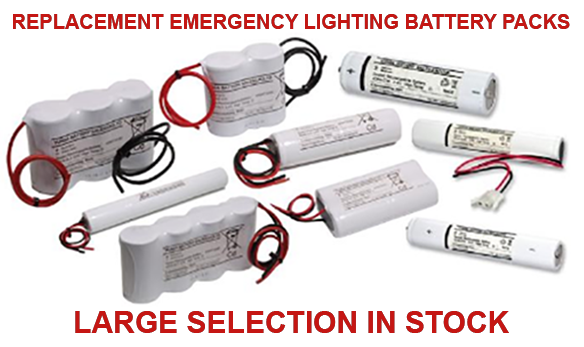 Standard emergency lighting battery packs, if you are after a different one call us as we are able to create many custom battery packs. 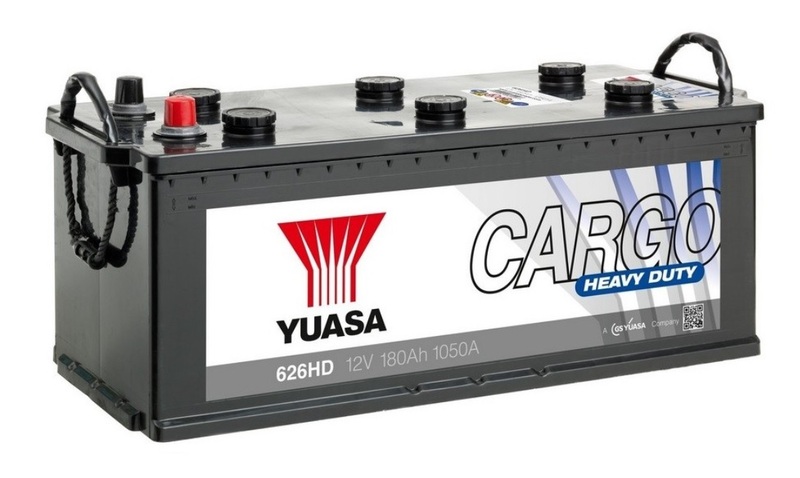 Golf Trolley Batteries and Accessories, we have a full range of Yuasa Cyclic Lead acid batteries for use on Golf Trolleys and Caddies aswell as a few accessories including connection bars, leads and straps. 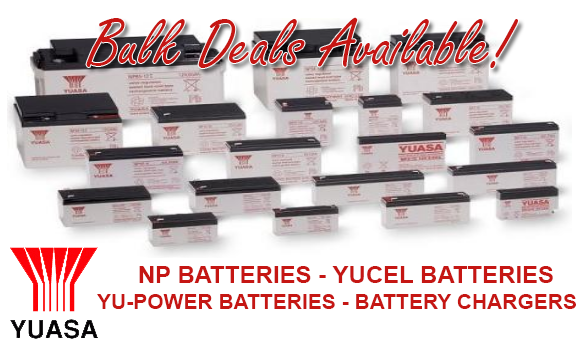 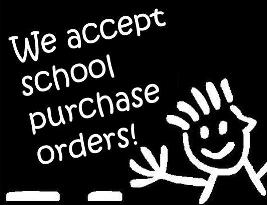 Replacement batteries for Home Alarm systems, Control Panels and sensors, BT, Yale, Infinite Prime, Visonic and others. 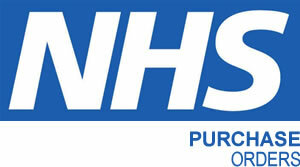 We dont stock them instore but here are some useful links to help you find the laptop battery you need. 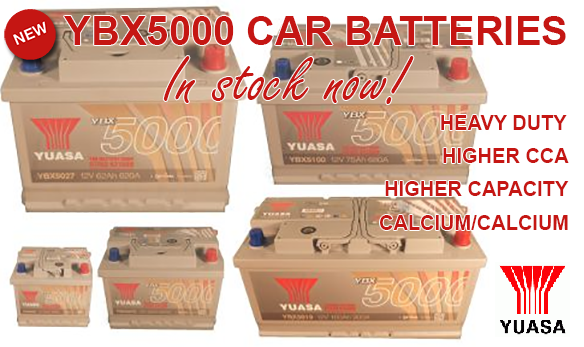 Range of rechargeable lead acid marine batteries in standard case sizes. 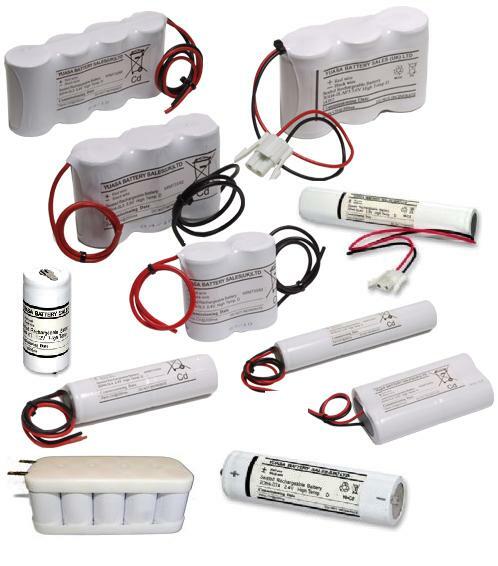 Replacement Urinal Flushing System and Sensor Batteries, made to order in store, if yours is not listed email us a picture.